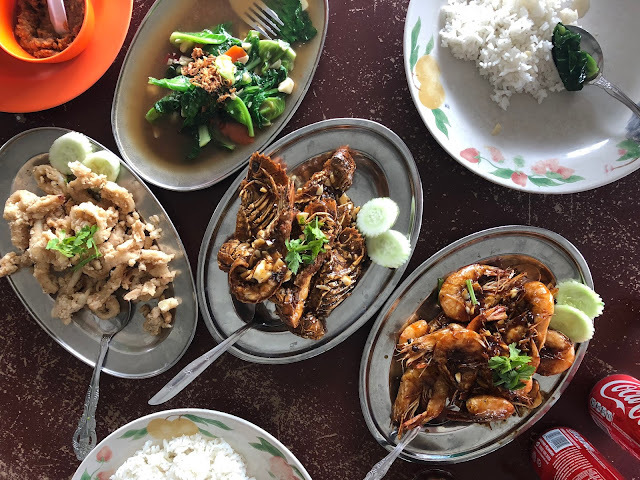 Reading a review on People & Places Cafe on a Crystal's blog got me bugging my friends to go Johor Bahru last weekend to check it out. Located at an industrial area near Mt Austin and pretty far from the customs, I'd advise you to drive in but Uber and Grab are aplenty there so i wouldn't worry too much. We arrived at late afternoon and it was just in time for the last order. We got ourselves a Quesadilla Brekkie (RM25) along with Iced Latte and Mocha. The Quesadilla Brekkie had a very interesting tom yam flavour along with eggs, tomatoes and bits of pomegranate. I was so occupied with snapping photos that one of the staff came over and told us that they recommend we eat it soon so that the tortilla would still be crispy. Oops. And of course, i couldn't pass up on the Melbourne’s Signature Hotcake (RM23). The hotcakes were at a much smaller portion compared to what we're used to in Singapore and Melbourne but it's a good size if it's looking to share between 2-3 pax after your own mains. It's definitely a place to laze away a weekend afternoon over some good food and drinks. I can't wait to be back to try more items on their menu. 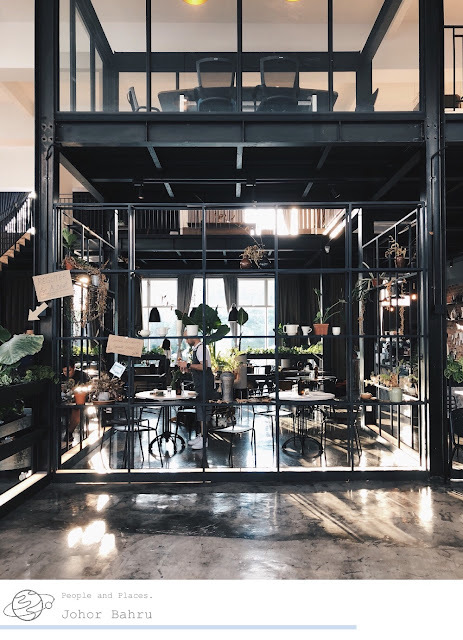 You can get stunning visuals and a more detailed review on the cafe on Crystal's blog. 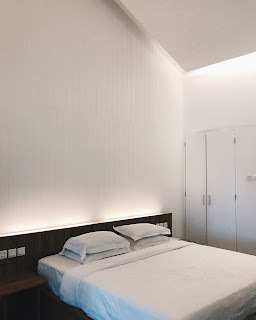 The Strawberry Leisure Farms is a surprisingly great place to check out if you have nothing better to do (aka not going to the casino to gamble) at Genting Highlands. We had plenty of fun plucking the (very sour) strawberries and then not eating them. The farm is quite big and there's plenty of flowers/ little gardens to walk around and explore. Entrance fees are at RM10 and strawberries are at RM8 per 100g. Awesome company, great music and fantastic food. My recipe to an ideal weekend getaway. 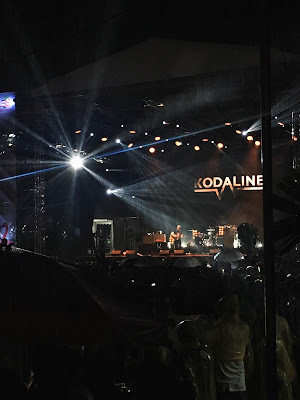 I was at Genting Highlands over a weekend in August for Good Vibes Festival 2017 and managed to catch acts like Kodaline and Phoenix - both i missed in Singapore. 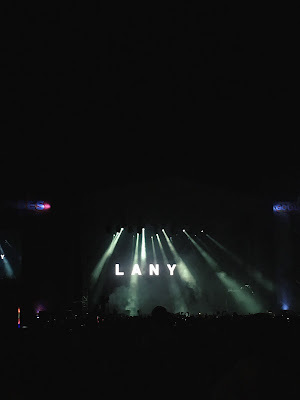 Also watched Lany and Dua Lipa. Rediscovered old favourites with The Kooks. 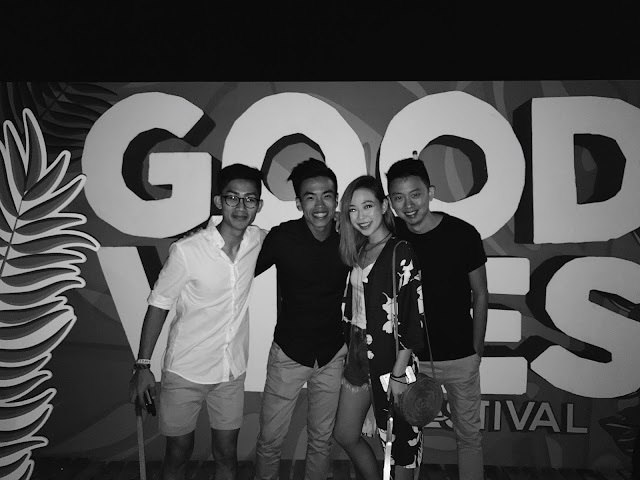 Aside from the heavy downpour during Kodaline’s set (which kinda added on to the romantic vibes), the weather was at a perfect 20C all weekend. 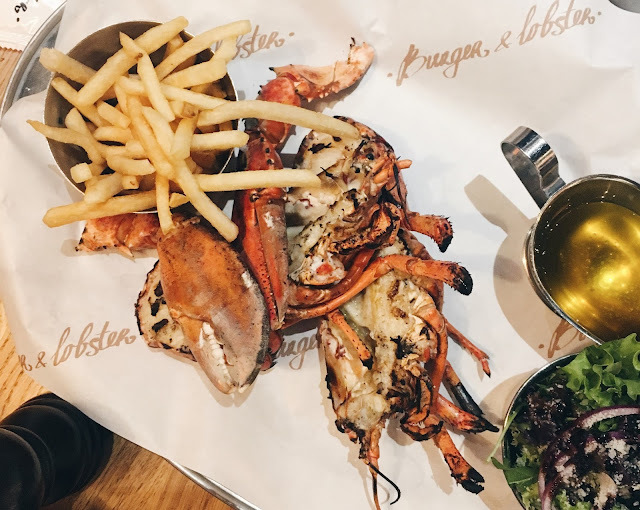 And yessss, of course we had to dine at Burger & Lobster and we like it so much we ate 2 meals there! Both times we got lucky and didn’t have to queue, i recommend going at odd timings like their opening and right before they close. Order their original grilled lobster, best out of everything we tried. 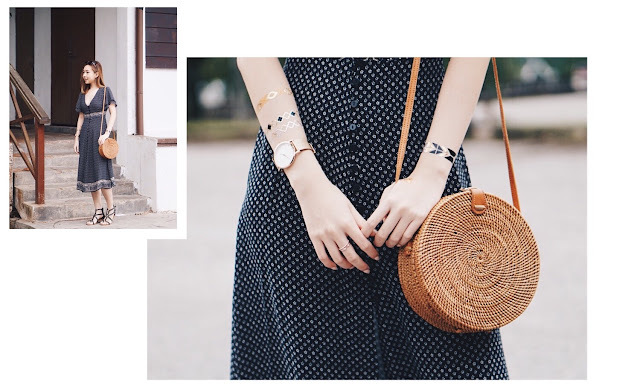 Accessories are one of those little things that really completes your outfit. 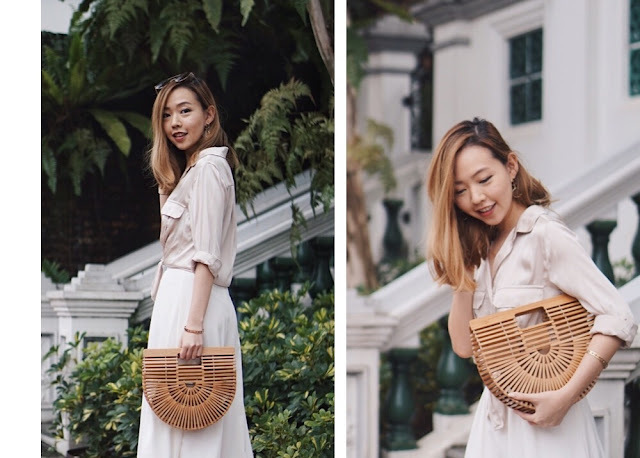 And i'm always on the hunt for affordable accessories so i'm really excited about Gracieux Co's launch because their style is right up my alley. Gracieux Co just dropped a new collection - The Wood Series a few days ago and gosh, i'm obsessed! 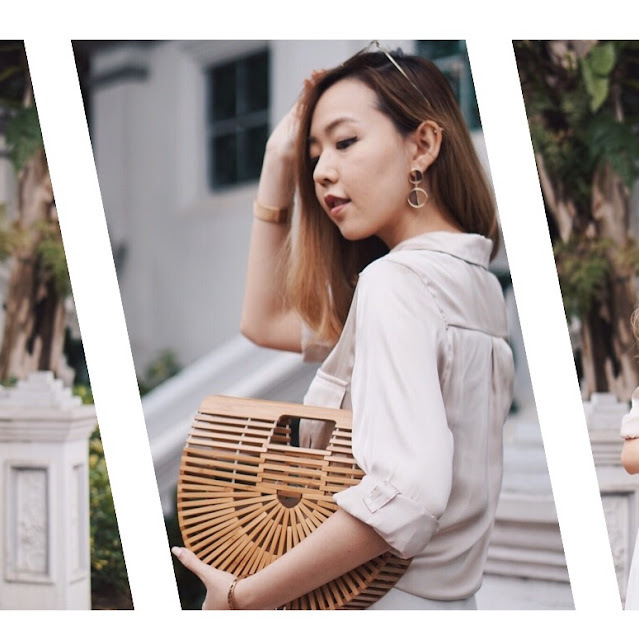 If you're following me on Instagram, you'll notice that i have been all over my impractical bags which features bamboo/ wood so this pair of Semi Wood Earrings is all i'm wearing these few days. They go so well together. Do check out the Nelia Wood Earrings - the chain tassels, asymmetrical details and wood grain - everything i love! 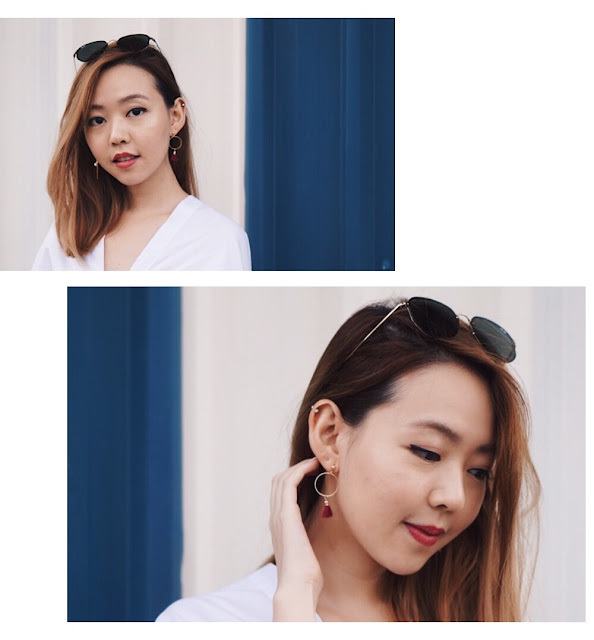 Speaking of tassels and asymmetry, the Kayle Tassel Earrings are so adorable! Forget matching pairs, it's so much more fun wearing these. On top of tassels, it has a bar and a little pearl on one side and circle on the other. Here's a perk, enjoy 10% off when you quote <FIONA10> at checkout! Scrolling through my Instagram and realised that I have been wearing quite a bit of colour lately. Yay! I remember making a new year resolution on wanting to change my wardrobe and to add more colours. Speaking of which - how are you and your new year resolutions doing? I bought this floral dress recently and I think it's my first ever yellow dress because I never thought that yellow would look good on me. But hey, i actually like how this dress turned out. 5/7 - would wear this again. The mainstream fashion industry is all about trends and fast fashion which means the mass production allows relatively low prices at retailers. This often means that we buy more than what we need and this overconsumption comes with a hidden price tag which the environment and workers in the supply chain pays for. While I love trends and fast fashion, (and I still occasionally shop that H&M sale) I try to cut down on buying low quality "trendy" pieces that I don't picture myself wearing for long. I recently read about a movement called "slow fashion" - quite literally the opposite of fast fashion - where it aims to create a sustainable fashion model and encourages quality production. 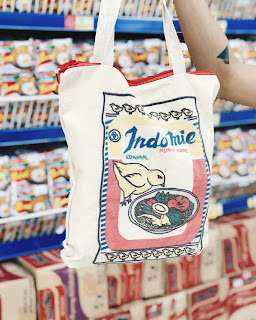 The whole point is create quality pieces to slow down consumption and reducing the use of raw materials. I'm so glad when S For Savvy approached me to champion for their cause. Their platform consolidates past season pieces from fashion labels at up to 70% off. I think “past season” has such a negative connotation to it, it doesn't necessary means you'd be getting outdated clothes! I’m wearing this olive jumpsuit from AndWellDressed, and it’s such a timeless piece. Now you can shop for quality pieces at good value. 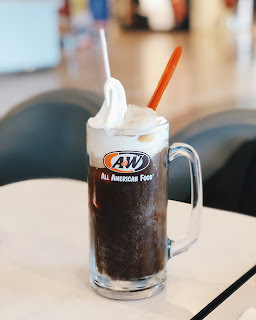 We definitely have 2 seasons in Singapore and that’s - hot and hotter. A whole year of summer means most of us usually use mattifying products to keep the oils at bay. Here are a few products that you can use to put the glow back on top of that matte skin. 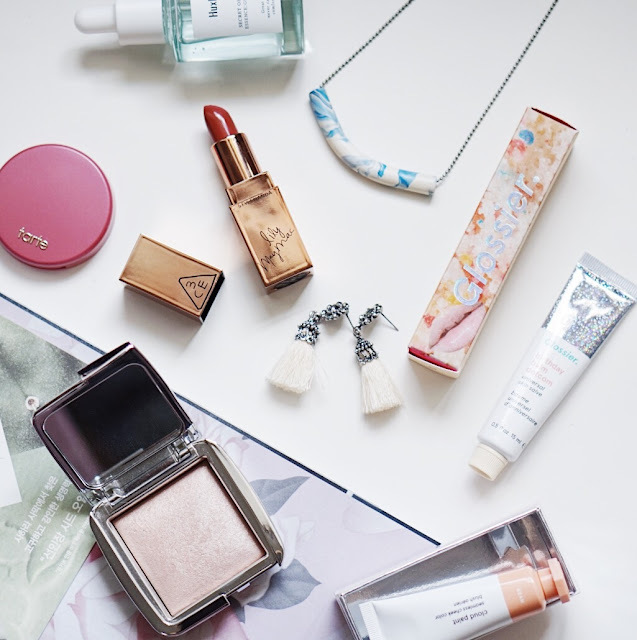 Summer always reminds me of coral shades and of course, dewy skin. But I've always veered away from any products that mention “dewy” because more often than not, it means “looking oily” for me. Until i started using highlighters recently and yay to choosing which part of your face you want to look glowy! 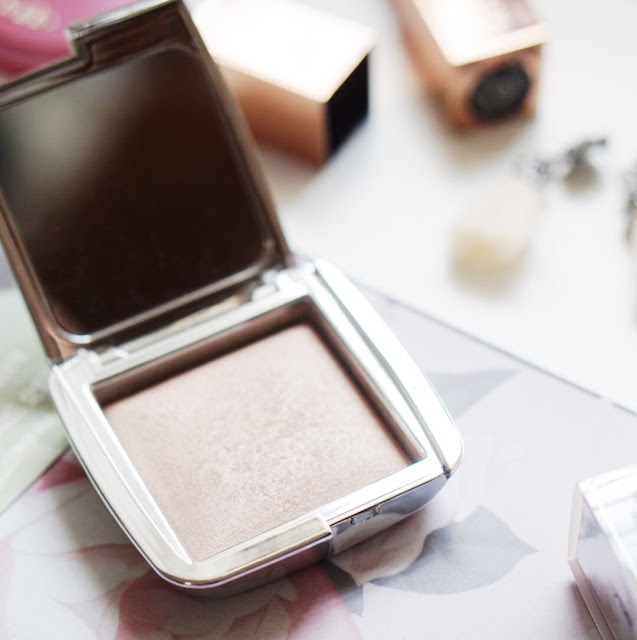 I have been using Becca Shimmering Skin Perfector Liquid Highlighter in Moonstone but never quite find the oomph to my highlight until i got my hands on Hourglass Euphoric Strobe Light, DAMN. Definitely adds a whole different dimension to my face, $62 well spent i’d say. 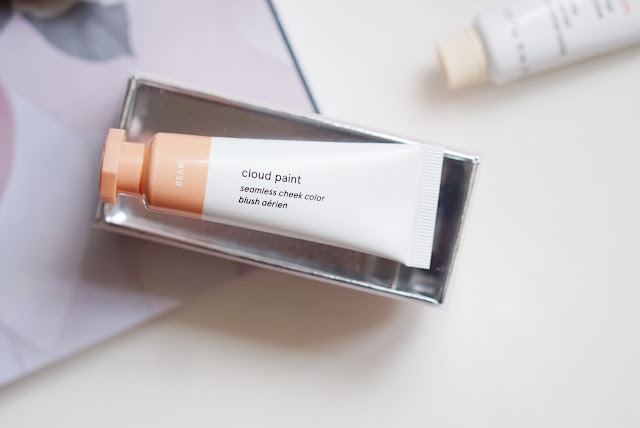 I have also recently got my hands on Glossier products! I’m loving their cream blush, Cloud Paint in Beam - a soft coral. Perfect for that no-makeup makeup look! I add a little on my lips too and finish off with a swipe of their Birthday Balm Dotcom. A moisturising lip balm that smells like cake and has holographic specks, what’s not to love about that? 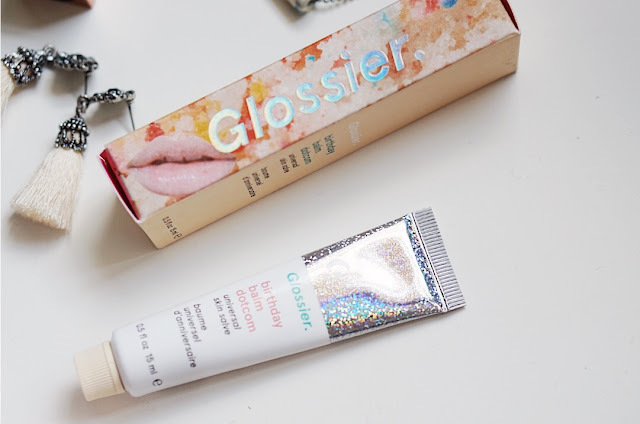 Get 10% off your Glossier order here, yay! 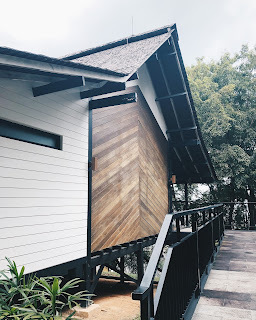 There are lots of places in Perth that's really picturesque and Instagram-worthy but with limited time while on vacation, here are the top 8 I would highly recommend you to check out. 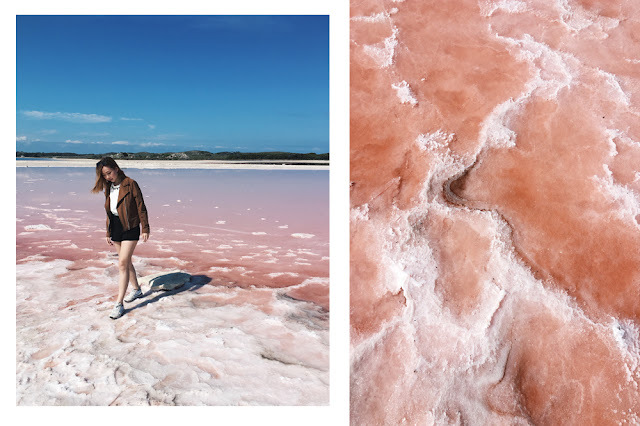 Up your Instagram game with a pink salt lake, or quokkas on Rottnest Island! Read more about Rottnest Island here. The most difficult to get to but one of the most amazing views. More info on how to get there here. A super touristy spot but these limestone formations are like nothing you have ever seen. Do stop by the Discovery Centre to read more about the history, habitats and mysteries if you're interested! The Lancelin sand dunes are a popular playground for four wheel drivers and bikers. 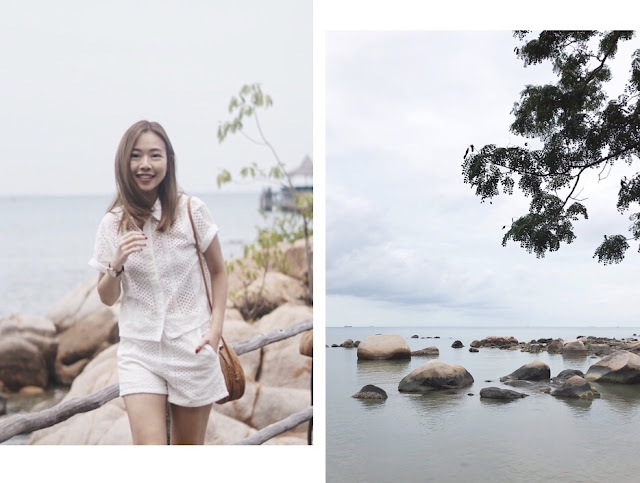 Also a perfect backdrop for a white #OOTD photo. One of the most stunning coastal lines ever. My photo doesn't do it justice. Just Google for "Wyadup Rocks, WA" and you'll see raving comments telling you that it's worth the drive up. If you got your swimsuit ready, please go for a dip in this rock pool. This place is every bit as blissful as you'd imagine. Wyadup Rocks is located at Margaret River, read more about the roadtrip here. Also known as the Blue Boathouse. 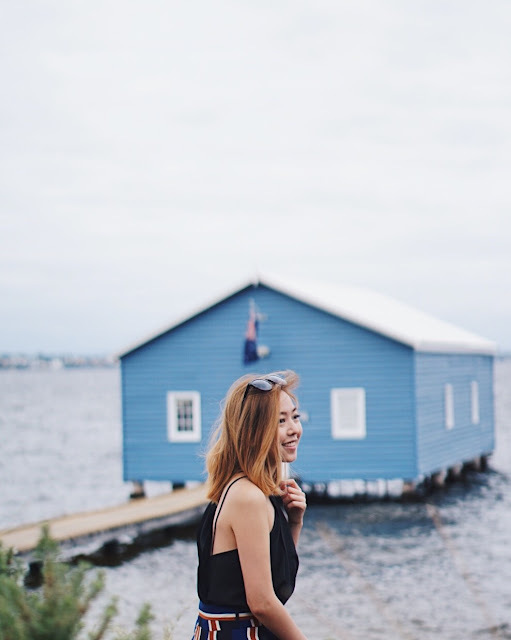 Like i said on my Instagram post - "If you didn't take a photo at the Crawley Edge Boatshed, did you really go Perth?" This is possibly the most taken shot of Perth on Instagram. It's like taking a shot of Singapore's city skyline - a must-have. Because our ferris wheel is not close enough to snap a photo like that HAHAHA. Also, the red reminds me of a festival/ theme park . What's so insta-worthy about the beach? For one - the "beaches" we have in Singapore don't even come anything close to the most unpopular beach in Aussie. 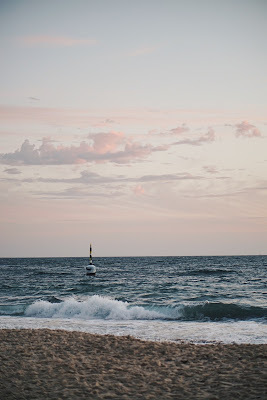 Cottesloe Beach faces the Indian Ocean and has one of the most amazing sunset ever. With the pink cotton candy skies and golden light, how can it not be insta-worthy? If time is on your side, be sure to check out the Wave Rock and various parks! For all my travel shots on Instagram, check out the hashtag #wanderwithfee. Ending off with a vlog from Perth! 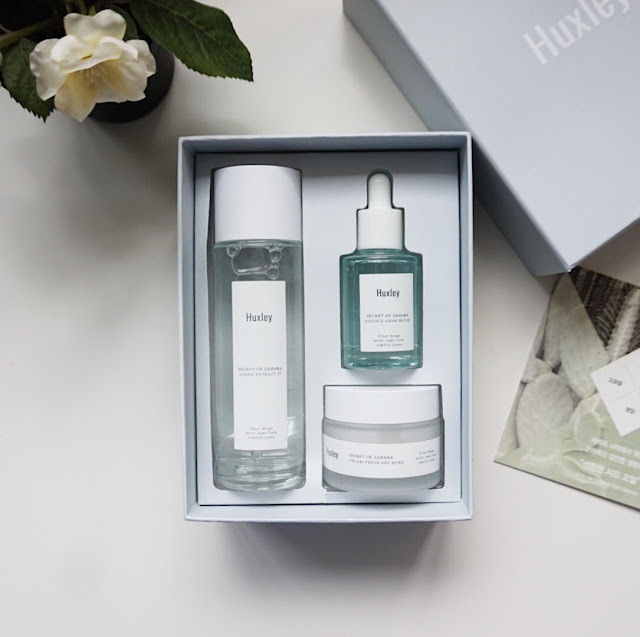 Unlike most mainstream Korean skincare/ makeup products and their cutesy packaging, Huxley came across as a minimalist Western brand. Their entire skincare line is made primarily from cactus oils! 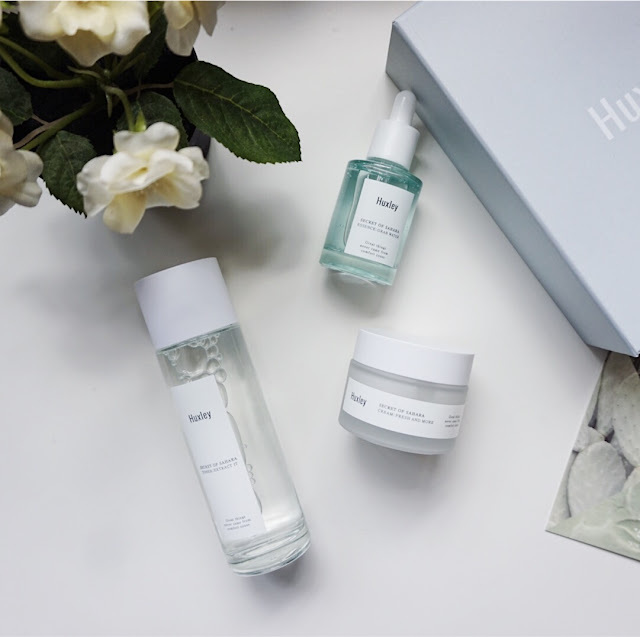 On top of the dreamy packaging, I was especially attracted to their mission to change the skincare industry with unconventional ingredients. I got the Huxley products from Cocomo, a distributor on Qoo10 known for cult Korean products like Son & Park. 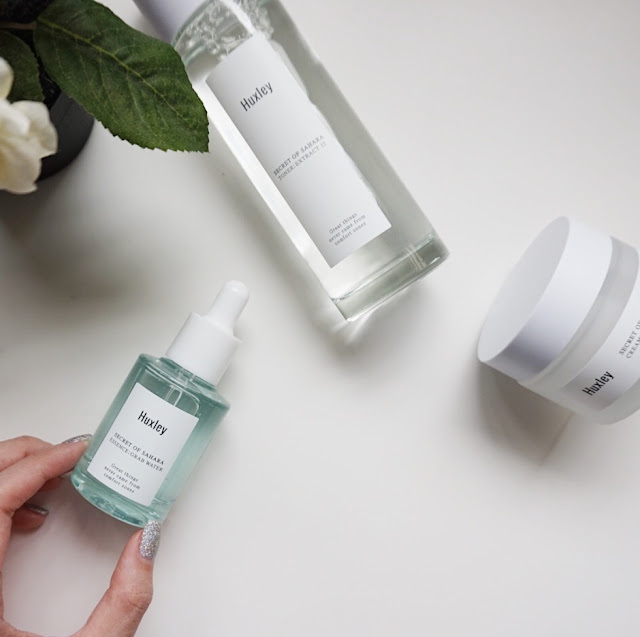 It has a super extensive page of information listing all their skincare series and information on what kind of skin they are suitable for, read more here. Because of the high concentration of prickly pear extract each product contains, labour is extremely high. It takes about 36 hours to separate 1 million cactus seeds which only produces 1 litre worth of oil. When the brand says it's a beauty treasure, they do mean it literally. 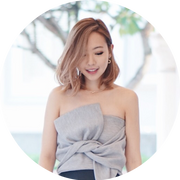 My skin is most suited for their "Hydration Routine" which claims to help with achieve hydrating skin that can withstand UV rays and scorching heat. It consists of 3 products: a toner (Extract It), essence (Grab Water) and face cream (Fresh and More). The toner, named Extract It, is a slightly acidic at pH5.5 which is actually our skin's ideal pH level. It's also formulated with moisturizing ingredients. Next up, the essence. Grab Water targets dryness in skin caused by UV rays during summer. 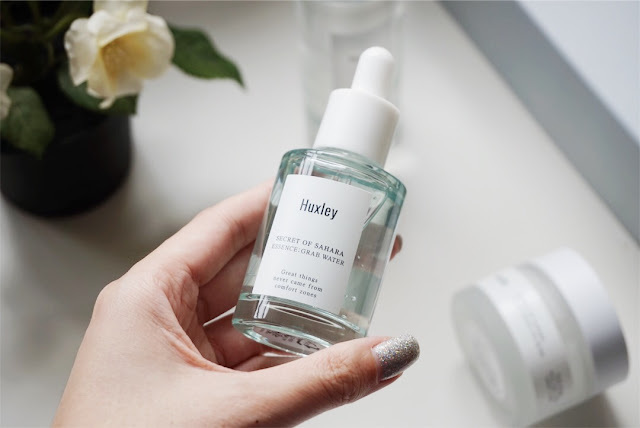 Dry skin is not just a problem faced during winter and this essence is truly a game changer. It absorbs into my skin almost immediately leaving it supple and ready for other products. Ending off with a face cream, Fresh and More. The gel texture is heavier than expected but it's supposed to be a moisturizing barrier to lock in all the moisture into your skin at the end of the skincare routine. I only use this at night as it can leave the skin quite shiny. 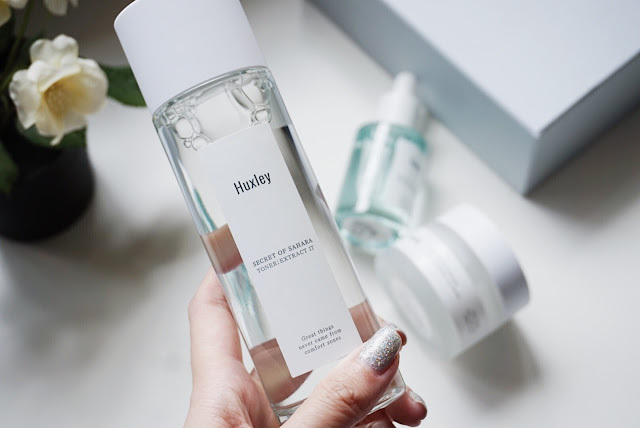 Cocomo on Qoo10 is having a really attractive buy one get one free promo for Huxley right now, do check it out here.